TWO CUPS OF HAPPY: simple storage using ish you already have. I hope you're having a great weekend. We are in "Sunday-mode" today and are just relaxing, cuddling the puppy & napping. For this weeks home post, I put together some easy, don't-even-have-to-think-about-it storage ideas. Baskets and bins are always, always a safe bet but sometimes it's fun to think outside of the box (so punny!). I wanted to share these ideas because they use things you probably already have kicking around, which means more cash for you (or for weekend booze) and means you're creating less waste (which will make you part of the "green/eco-conscious/environmentally friendly" club). Honestly though, they look pretty and do the job. And who doesn't love stuff that's cheap, pretty and functional? 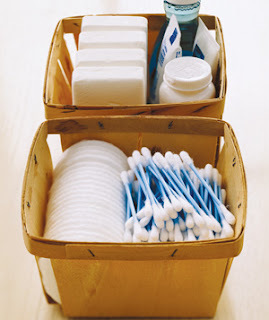 Try storing your toothbrushes in a fun mug, instead of a holder or cup. I have mine in this green Alexander Keith's mug, which goes with the haphazard tree/nature theme we've got going on. A mug with a pedestal bottom would look elegant, whereas a short round mug in a punchy tangerine or teal would bring some energy and color. 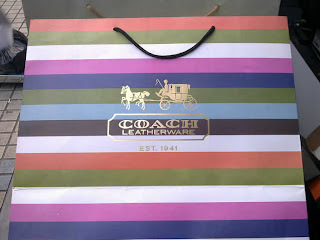 Use a pretty gift-bag on your dresser to hold clutter (headbands, perfume bottles, lotions, receipts etc.). I had a teeny empty version of this Coach gift bag on my dresser and decided to clear some stuff off my dresser by throwing it in. The bag is up high enough that the junk doesn't show and I can always go back and put everything away later. 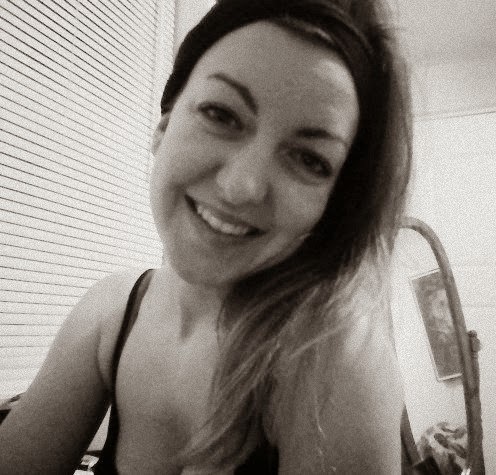 Yay for procrastination! Store bathroom essentials in old berry containers or tangerine crates. 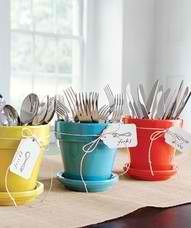 I love this storage idea from Real Simple! If you're like my mom and you hoard hotel shampoos and soaps, this is a great way to keep them all together. You could also grab a few travel-sized toiletries, tuck in a rolled facecloth and an extra toothbrush and leave it out for guests. Or tie a ribbon around it to fancy it up and give it as a sweet little hostess gift. Keep utensils within reach in these charming pots. These would work perfectly for parties, weddings, potlucks etc. and would make good office or kitchen storage too! How about using one as a napkin holder on the dining room table? 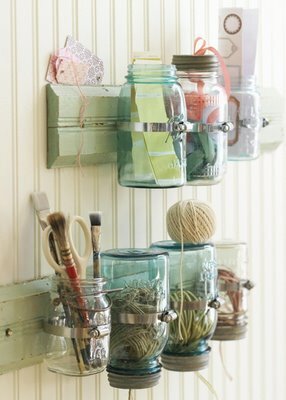 Use mason jars to store craft supplies, makeup, q-tips and things. Confession: I am obsessed with mason jars. We used to use them as cups when we were kids so naturally they make me very nostalgic. I have so many DIY projects to do with these... everything from candle holders to painting them from the inside to making vacation jars. If you Google mason jar uses you'll see why I'm so inspired! Check out the idea below using hose clamps and what looks like molding. Cute, eh? Do you have any ideas for recycled storage? What do you think of these ones? Do you hate organizing, but love being organized? Let me know! I'm glad you liked the post. I wanna see what your new apt looks like!